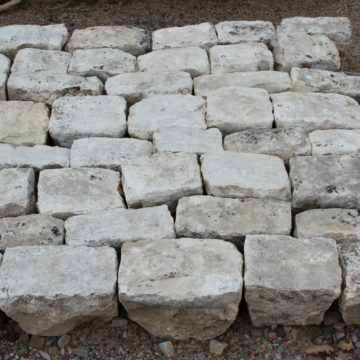 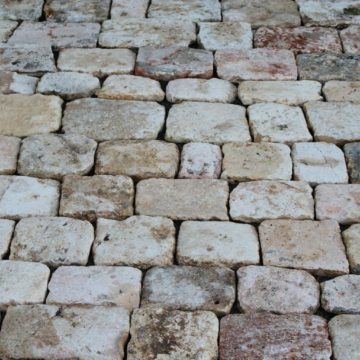 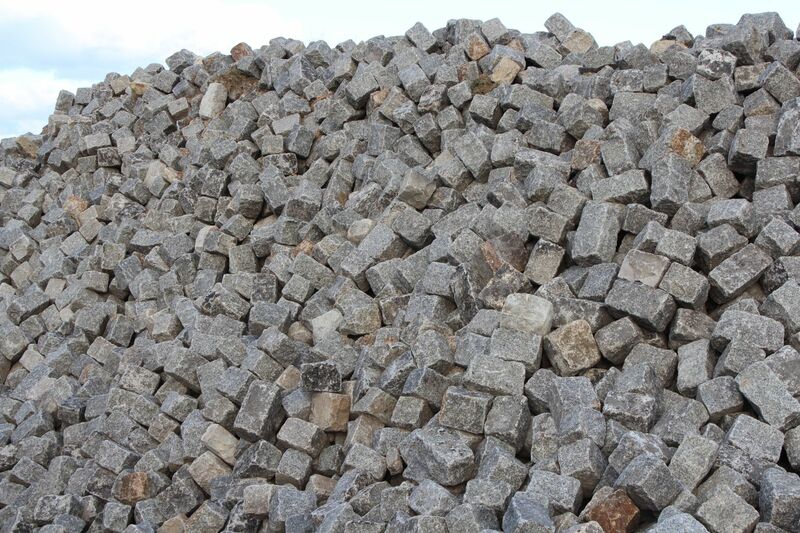 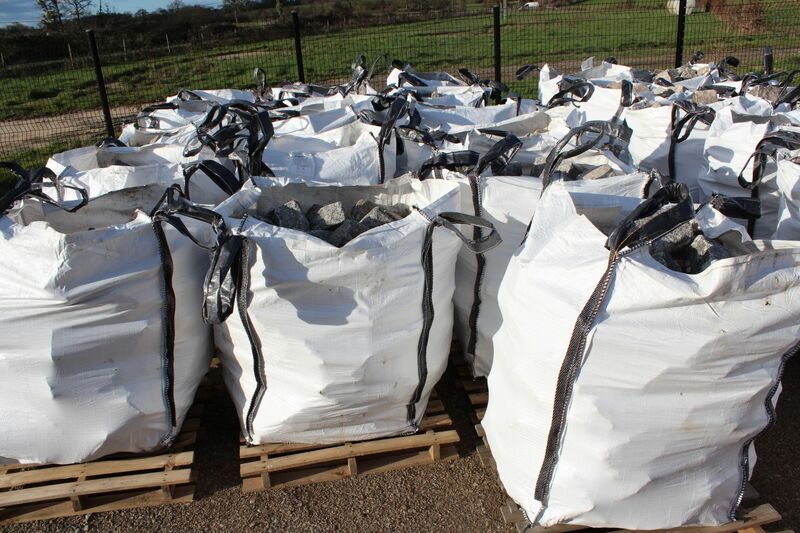 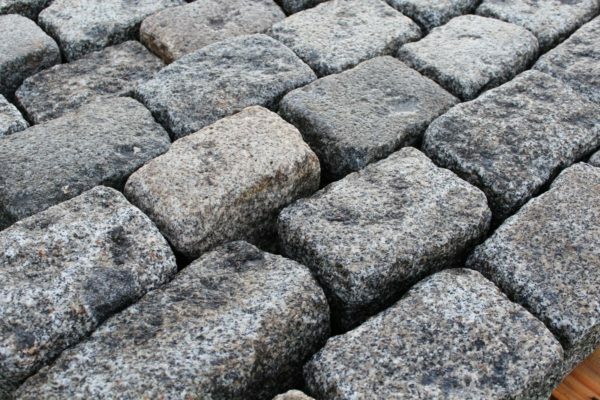 Antique granite setts from Versailles: Antique French cobblestones salvaged from Versailles: Large consignment of classic French granite worn setts from Versailles. 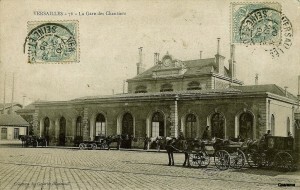 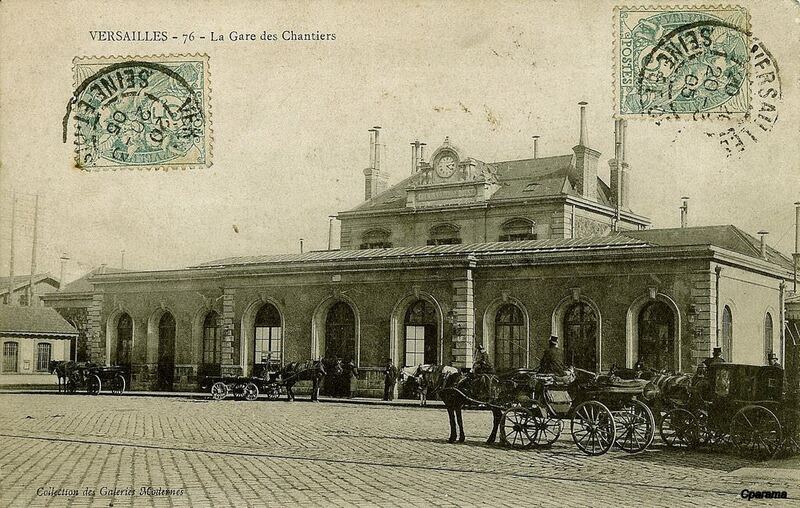 On this historic postcard from 1905 we see the paving in front of the station in Versailles near the chateau. 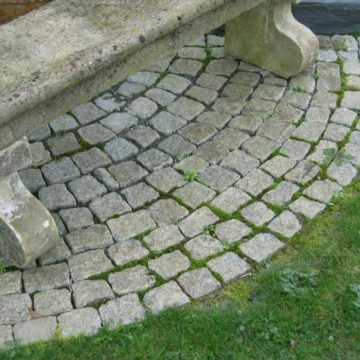 19th century Versailles granite paving. 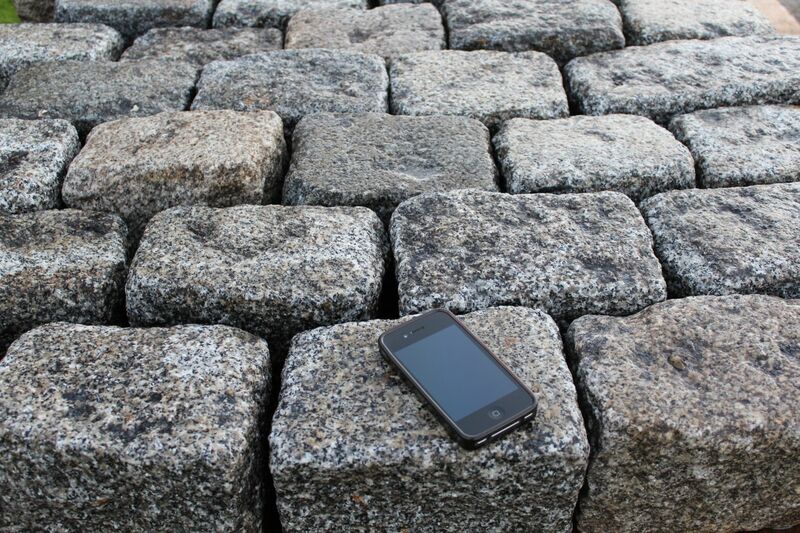 Metric dimensions approx: lengths 200 to 270mm x widths 140 to 150mm x depth 140mm. 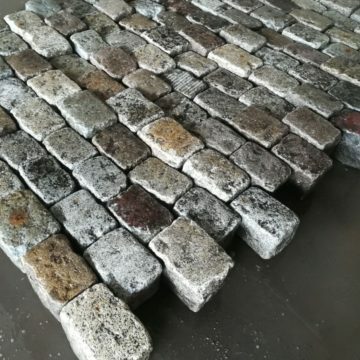 Imperial dimensions approx: lengths 7.9 to 11 inches x widths 5.5 to 6 inches x depth 5.5 inches.